Each one of these five keys has a deeper meaning and is used to tell you more about your hidden strengths and powers. Everyone has hidden powers deep in their subconscious and by picking one of these keys it will unlock the hidden secrets of your mysterious power. Have you ever felt that deep down you had a talent, strength, or power that you couldn’t quite identify? 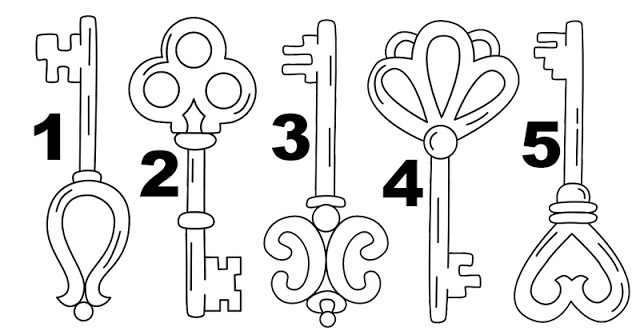 Choose one of these magical keys to get a deeper insight into your subconscious to learn more about your hidden power. Aphrodite is the Greek goddess of love, beauty, and sexuality. You believe in true love and you have a positive and simple outlook on life. You picked the Key of Aphrodite because it has a bird on it, meaning that you value your freedom. Your independence is one of your greatest strengths. Besides the dove, a sign of peace and harmony which you value immensely, the key is pretty simple which is the way that you like to live your life. Your hidden strength is your passion and love. The Druids were considered the highest ranking members of society in Celtic mythology. This key has a Celtic knot to represent the Druids, who were known as religious leaders, legal authorities, and the keepers of lore. The Druids had a constant connection to their community and the Celtic knot is a representation of their connection with the community and nature. The Celtic knot is a symbol of nature and harmony, by choosing it you are revealing your desire to be in nature to find peace and solitude. Your hidden strength is your deep wisdom and high aptitude. There’s only one type of person that selects the key of the king and that is a person with high aspirations. You have big dreams and you have intentions on achieving them. You have big goals and nothing is going to stop you because you can do anything you put your mind to. You know how to keep your eyes on the prize and work hard to get what you want. Sometimes you have to be reminded to stop and smell the roses occasionally and take pride in your achievements. Your hidden strength is your deep ambition. The triquetra or trinity knot has been used for centuries as a symbol for a deity. 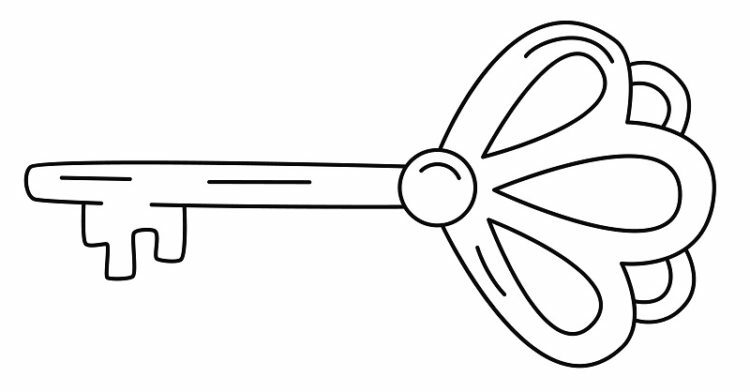 By choosing this key you reveal that you have a serious spiritual and supernatural connection. You often find that your intuition is more in tune than others and you seem to have a spiritual connection with the world around you. Your intuition and gut instinct is like none other and you have an almost supernatural ability to read people. You may not be performing actual magic quite yet but you know that you were born to do special things and you have luck and instinct to get you there. Your hidden strength is your spiritual connection to the world around you. Eros is the Greek God of attraction and desire. The Roman equivalent of Eros is Cupid. You chose a key with a heart at the end of it and love is obviously on your mind. You are close to finding your true love if you haven’t already. You have a knack for finding love and you are a very passionate person. You have been hurt before but that doesn’t stop you from continuing to search for your soul-mate. One day you will find the one you are looking for and on the way there you will have beautiful romances that you will look back upon fondly. The very few relationships that don’t end well should be quickly forgotten. Your hidden strength is your amazing romantic ability.